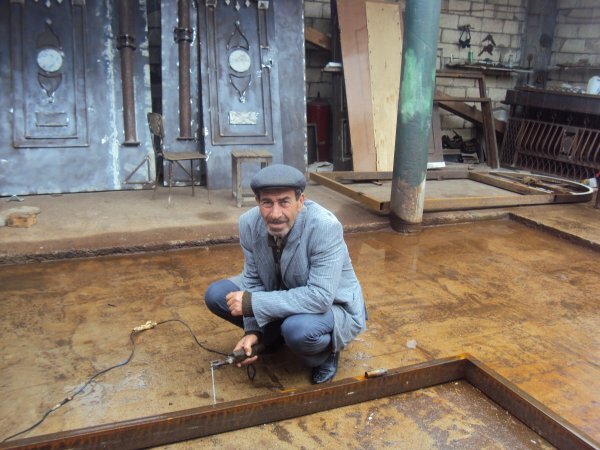 Rasif in Azerbaijan is a welder and a previous Kiva helped him to open up his own shop. The loan we helped fund is going toward helping Rasif purchase materials to keep up with high demand so that he can continue on a path toward success and lifting his family out of poverty. Gia is from the country of Georgia and he and his family (parents, wife and children, and brother) all live together. Besides working in a glass shop, Gia helps his family with a huge citrus crop endeavor and he owns a beekeeping business and that’s the business he wants to expand with Kiva’s help. 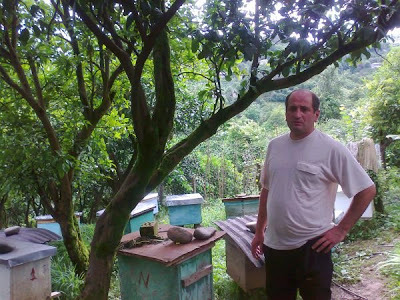 We thought that was pretty cool, to fund a loan for bee hives and bee colonies, so Gia became our 29th entrepreneur. Building on his business will help Gia to improve his family’s living conditions, which we’re really excited about. Our 30th loan goes to Ivanna in Ukraine. When we saw the shoes, we (Brigette) said, this girl is getting a loan. Ivanna rents space in a warehouse and sells shoes based on seasonal demand (e.g., sandals in the summer and boots in the fall). Currently, she buys her shoes from a middleman, but she would like save on her business expenses by traveling to the wholesaler to buy directly from the wholesaler. Smart lady. So there you have it, our 28th, 29th and 30th Kiva loans.We look forward to sharing number 31 soon!